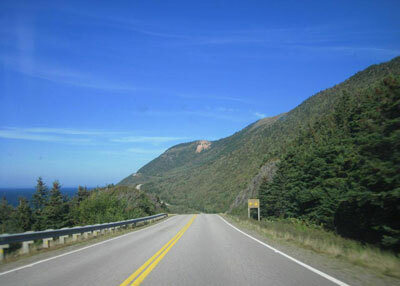 The Cabot Trail highway on Cape Breton Island. Although Cape Breton, Nova Scotia, is unlikely to meet the 2020 federal compliance deadline for wastewater regulations, its Nova Scotia-based council is still looking to move the process forward through two new wastewater project applications under the Investing in Canada Infrastructure Program (ICIP). The Cape Breton Regional Municipality (CBRM) is applying under the Green Environmental Quality Stream of ICIP for projects estimated at $98 million. The funding is for the municipality’s last two high-risk effluent systems in Glace Bay and Port Morien. Under the new funding program, the federal and provincial governments pay 73% of that total, which makes debt financing realistic for CBRM. The funding application, which made it in just three days before the deadline, also include upgrades to UV disinfection systems at the Battery Point sewage treatment plant in Sydney, which has reached its end-of-life. Four of the five sewage lagoons across CBRM also require upgrades. “Although it’s certainly unreasonable to believe the compliance deadline can be met, it’s highly recommended that CBRM continue to move forward and seek the necessary funding through the ICIP funding program to update existing treatment systems and build the Glace Bay and Port Morien wastewater treatment plants,” MacDonald told council. By spring 2019, MacDonald said CBRM is expected to be in a position to finalize the designs for the treatment plants and begin construction. “That would be welcome news for a lot of people in that community [in Glace Bay], to not only see a clean dump [by the fish plant], but also for people to swim again on that shore,” said Coun. Darren Bruckschwaiger.